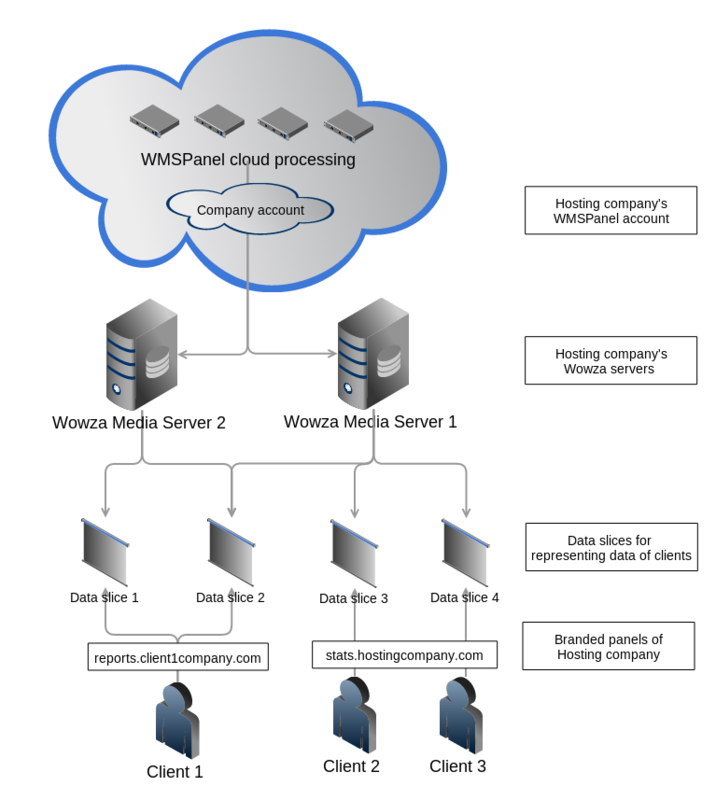 Since the introduction of WMSAuth for Wowza, we've been receiving various customers requests about new features. Some of them has already been implemented and recently we've added bandwidth limitation capabilities. Now for WMSAuth group containing designated servers any WMSAuth rule may have bandwidth restriction. It's defined as decimal number of Gbps. Limitation is being checked and applied when someone tries to connect. 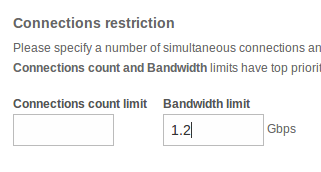 Currently consumed bandwidth is compared to the limit. If the limit is higher than current consumption then connection is allowed else connection is rejected. Please check FAQ and Troubleshooting section in case of any problems or questions. 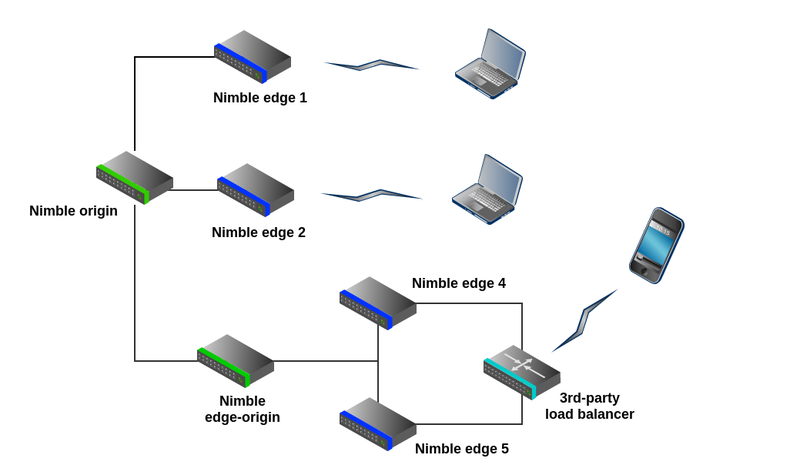 Recently we've introduced progressive download support for Nimble HTTP Streamer. It already allowed pseudo-streaming via HTTP partial content delivery. It works via Range header for HTML5 video and Flash player. You can see it in action at this demo. So now we did the next step and added progressive re-streaming support just as we did for HLS and Smooth edge re-streaming. What you can do now is to set an origin server containing the content for the progressive download and then set up a number of edges to re-stream it. Needless to say that Nimble streamer can be used as progressive download origin. Why would you need this whole thing of "origin-edge" for progressive download pseudo-streaming? As always, the primary use cases are load balancing and content delivery speed improvement. How would it work for these cases and how would Nimble help with that? 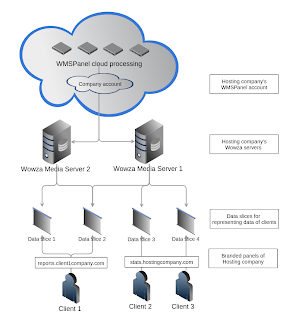 WMSPanel team is excited to announce that Nimble Streamer now supports pseudo-streaming, or progressive download. The VOD content may be viewed from Nimble Streamer by means of HTML5, by your end-users mobile players as well as by any Flash player at your users' PCs. Check our demo to see Nimble Streamer in action. Nimble Streamer supports progressive download with "Range" HTTP header as well as with Flash time marks. This means that you can scroll to any fragment of the video and it will proceed with downloading from the selected place. The seeking parameter is called "start". No third-party software is needed. You create a small and cheap Ubuntu virtual server using your favorite cloud hosting, or just use your Ubuntu desktop for trying. It doesn't matter what virtual or physical hardware you use, since the Streamer is very light-weight. To start using Nimble Streamer, you need to follow simple installation instructions. Currently we distribute the Streamer via Debian packages available in our Ubuntu repository. They are easy to follow so once you bring up Ubuntu, just do a few steps and see a new server appear in Servers page list. Now you may proceed to configuring server routes. Those are the rules that describe where the Streamer will take the files. It's done similar to HLS re-transmission setup, but it's even a bit more simple. To start the progressive download setup go to "Nimble Streamer" / "Edit Nimble routes" menu item. Nimble Streamer pseudo-streaming and HLS routes. Here just click Add progressive download route to set up a new route. Two sections are used here. Where incoming requests are coming. Here you need to specify the domain and path where your incoming requests go to. Your server may handle any number of domains so the Domain field should have domain or IP with a port number. If you don't fill it in, Nimble will listen to its default port 8081 at all IP addresses available for current server. Path is the path which is requested during the connection. You can set up "/" and it will accept all incoming requests. Where incoming requests must be redirected. There's a "file://" prefix in the only field so all you need is to add absolute path where your media is located. Now if your Nimble Streamer server has its own name like "edge01.yourdomain.com", you may set up your favorite player with new connection string like "http://edge01.yourdomain.com:8081/vod/somefile.mp4" and start watching the video served by the Streamer. Port 8081 is the default one for Nimble but you can change it in the server config file. Check our demo web page source to see how we make the URL for our own installation of Nimble Streamer progressive download. We've also added "URL for player" column in the list of servers for convenience of player setup. Nimble streamer works both as an origin and as an edge server for progressive download. You can re-stream the pseudo-streaming as an edge server. This will allow building a scalable and flexible load-balancing schemes. This feature is soon to arrive, stay tuned for our updates. Q: How can I download video in the browser instead of watching it? In case you stream locally stored content, you can fetch files with ?attachment=true URL parameter. It adds "Content-Disposition: attachment" header so the browser initiates the download instead of playback. Now try installing the Nimble Streamer to start. This page will be reworked soon. Follow us in Facebook, Twitter or Google+ to get our updates.